Just because something is old, it doesn’t mean it’s out of date or irrelevant. Yet most people tend to disregard or place less value on something that’s not the latest and greatest gadget, invention or idea. Obviously, technology continues to influence the way we work and even think but what about the rock solid proven ideas created back in time that still hold fast today. We live in a busy world of constant white noise and interruptions and when it comes to marketing, it’s increasingly difficult to be heard above the incessant scrambling of messages. We’re overloaded. So, the modern day marketer’s dilemma is how to get noticed in a very busy world. There’s a tipping point for real estate success and it comes when someone has a busy schedule of listing presentations, listings, open homes and sales. When an agent starts to get some volume in a specific geographic area, the marketing around the campaigns starts to build momentum. There is more marketing, more signs, more signs pointing to open homes and more opportunities to connect with potential sellers. All it takes is 6 or 8 concurrent campaigns and people in your area will start to notice you. Success creates success. More creates more and the activity generates some of the best awareness marketing there is. I mean, what seller isn’t going to be impressed with an agent who has a highly visible share of the market? How do you penetrate a highly competitive market? And how do you win the hearts and minds of potential selling clients in your area? You do it the same way it’s always been done, by building relationships one at a time. 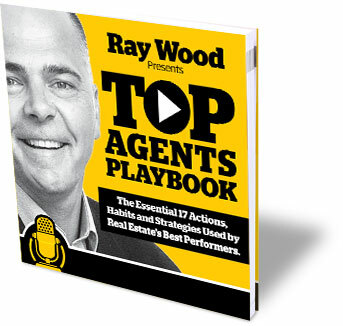 But more often than not, agents approach this the wrong way. They burn dollars and daylight on ideas that have little cut through and struggle to connect with the potential clients that matter most because they don’t stand out and the real estate consuming public fails to spot any difference from one brand to the next. What are the numbers like in your area? Would there be any more than 3 or 4 percent of property owners in your area considering a real estate sale or purchase at any one time? I doubt it. So in a residential area of say 2000 households, we could expect that just 60 to 80 might be looking to buy or sell at any one time with probably half that number actually on the market. Do they know you? Do you know them and how are you connecting? But what if there was a way to connect with way more homeowners than just 3 or 4 percent because someone who has no intention of selling today might be highly motivated to get on the market by this time next week. If money was no object, and you went to the very best advertising minds in the world, they would ask you this question: What’s your Unique Selling proposition or USP? What’s your clear and compelling point of difference in your market and why would potential sellers connect with you as opposed to other agents in your area. They do this because finding the USP and packaging it into a simple yet powerful message is the fastest and most effective way to connect with your target market. When I ask this question, agents tell me their USP is that they have a great following in their area, their company is well respected. They have a great deal of experience and they are terrific marketers and negotiators. All excellent points but hardly a USP because most of their competition could say the same thing. I spent quite a bit of time and money developing my USP to break into a very crowded market in Melbourne’s south east suburbs where sellers can chose from hundreds of agents all pitching to get noticed and secure that precious listing presentation appointment. My research told me that sellers were looking for just 3 things. A top market price, a sale in a reasonable time and a rewarding and stress free real estate experience. So I created a guide to show sellers how they could easily engineer these three results. The guide ended up becoming a book called How To Sell Your Home For More. Because we’re in real estate, it’s difficult to market a service as opposed to a physical product but I found a book was the perfect way to package my USP with the added bonus that offering a free copy of the book was a powerful call to action. I call this give to get marketing and it’s one of the most effective marketing methods there is because offering something of value with no expectation of anything in return is a great way to become an attraction agent and reach out and connect with potential sellers in your area. I quickly discovered the applications for my book are virtually unlimited. From a give away at opens to a point-of-difference gift in a pre-listing kit, How To Sell Your Home For More is loved and valued after 16 editions with more than 250,000 copies of the book in circulation. And I can’t mention the book without thanking so many Bestagents members who have found new and innovative ways to use the book as a dominant lead generator in their marketing line up. And speaking of books, I recently re-read a book that was first published eighty years ago. Written at the height of the Great Depression by Dale Carnegie, the book offers candid thoughts and ideas for reaching out and connecting with more people no matter what business you’re in. The book came about following Carnegie’s public speaking course which he ran at a gym in New York from 1912 and the story behind the book is inspiring for a number of reasons. After writing but failing to publish two previous books, Carnegie was reluctant to fail a third time but a publisher attending his course asked him to consider another book. Carnegie said “no” but agreed to allow the publisher to bring a stenographer to the classes who wrote down everything he said. When the notes were cleaned up, Carnegie liked what he saw and How To Win Friends And Influence People was published in a small print run of 5000 in 1937. Despite the depression, the book takes off because people are hungry for work skills and before long, it’s selling at 5000 copies a day. Today, this much loved best seller still totals over 200,000 sales a year because the ideas are just as relevant as they were in 1937. But it’s a Dale Carnegie quote that I love because it speaks to the very heart of effective marketing. Let’s bring that back to real estate marketing and connecting with more than just the 3 or 4% of people looking to buy or sell at any one time. If you take an interest in others and profile them instead of profiling you, everything changes. I’m the first to agree this might sound counter intuitive but that’s exactly what I did with my book. Today, savvy agents are connecting with more and more people in their community by getting interested in them and what they’re doing instead of continually pitching the ‘Look At Me’ style of marketing that’s so boring it’s essentially invisible. If you feature a local business on your website blog and Facebook page, you’re automatically connecting with a far wider network because they’ll be looking to share your generous promotional skills. After all, if you’re in real estate you’re a marketer, and you’re simply showing off your marketing skills in a different way. Think of the businesses you know and patronize in your own community. Is there a florist, chiropractor, hairdresser, café or mortgage broker you could profile and share their success with your community? It’s an easy win-win! Is there a fund raising event coming up at a local school where you can interview the principal? Everyone is looking for publicity and wanting to raise awareness so why not share your marketing skills and help them reach more people in your sphere of influence? 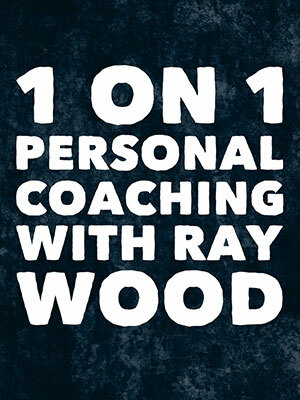 What about profiling a rising sports star and become part of their journey too. As they say, it takes a village and every community values anyone who can give them a voice. Or what about starting your own community podcast because here’s the thing: If you don’t one of your competitors will and you’ll lose a very valuable window in this exciting new digital economy. Podcasting is exploding in popularity because it’s a unique and powerful way to connect with people who want to hear your message and when your keep message about them and not you, you’re profile and public awareness is raised by association. A by-product of this kind of marketing is that your profile is raised simply by association and no amount of money can buy that much professional credibility. Show folks you’re more than just a real estate face on a bus bench sign offering free valuations with a big mobile number. This is the kind of marketing that literally hits people where they live and it will help you stand out like never before because you’ve just taken the bold initiative to position yourself as someone very different to other agents in your area. And if you’re not convinced, consider these final reasons why you need to get started on this, it’s cheap and it has a long life! Real estate is not about what you make but what you keep. All this is going to cost you is a little time and effort. You’ll then have a video or website blog article that is working permanently to profile you and your efforts to promote and advance the community that allows you to make a living. It’s marketing dressed as altruism because everybody wins. If you’re ready to get started, send me a message and I’ll help you take the all-important first step. 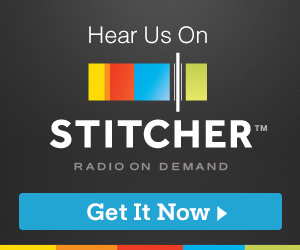 Thanks for tuning in to this episode, if you like the podcast, please subscribe on iTunes, Stitcher or wherever you listen to your podcasts and you’ll automatically be the first to get each fresh episode and exclusive offers I only make a valuable to my VIP list. 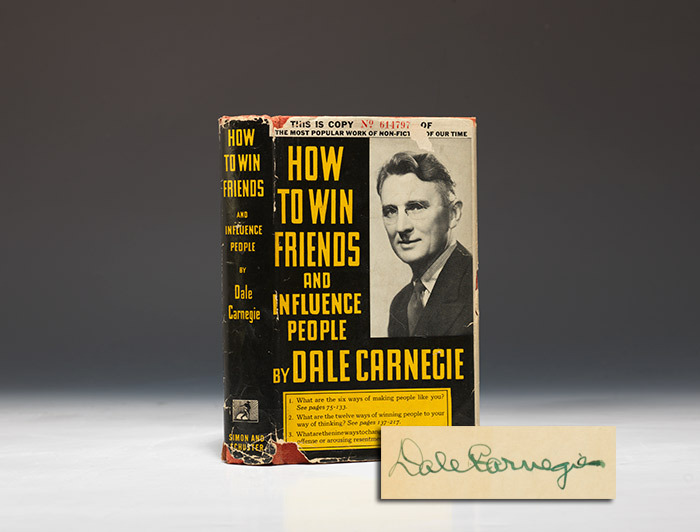 An early edition of Dale Carnegie’s mega selling book: How To Win Friends & Influence People. The first print run was only 5,000 copies. Before long it was selling 5,000 a day. Today it sells more than 200,000 copies a year.